Wow.. what a great surprise this was! I thought that this Norwegian band had disappeared forever but no! It is nice to see they have followed up with another cool CD as well as using the same artist for the really cool artwork. I should also tell you that most of the text of the song, bar the last track is taken from other people mostly from the 18th and 19th century. Nice…. 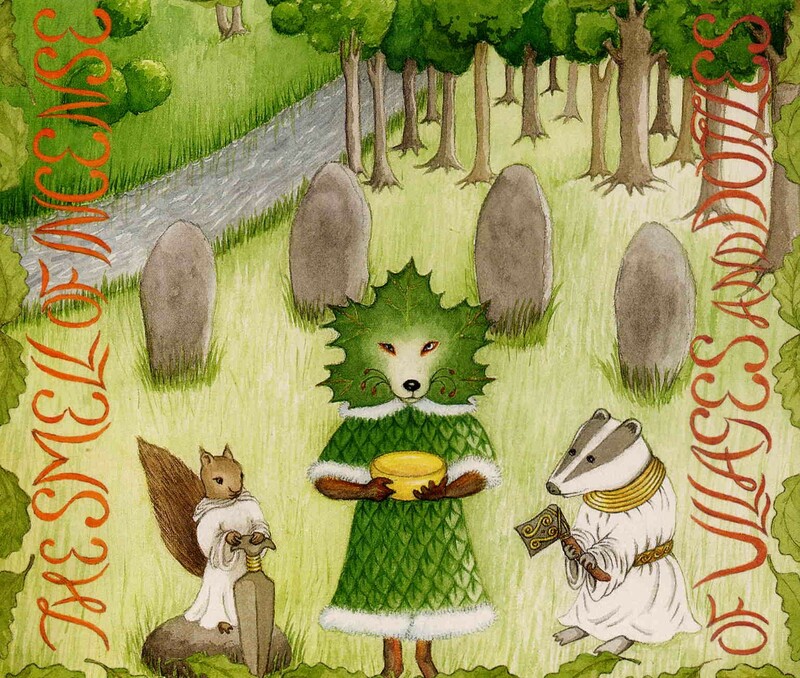 The CD starts with I Bumbles and Dragons, which has a really nice folky and ancient vibe to it but also some real rock guitar. Laughing Song is a very beautiful track with some nice pedal slide guitar and a nice spacey vibe as some weird and strange sounds filter into the track at the end. Next is the 10 minute Where Forlorn sunsets Flare and Fade which begins with some beautiful acoustic guitars. The track has a bit of a dark feeling to it at times, drifting from happy to sad but always beautiful and some nice psychedelic touches here and there. Song is a short 2 minute track. This is followed by the amazing The Golden Knot, which is very dramatic and features really cool organ and guitar parts to create a mysterious vibe. The Haunted Chamber (lyrics by Longfellow) is another 2 minute track and quite nice but no time for musical development. The last two tracks are 9 minutes each and the band really plays some cool music. I think that fans of Circulus will like this album a lot. Less rock music than on past records (except the last track!) but great psychedelic folk music. Please don’t wait so long to make the next one!